I have mixed feelings about the Dodge Challenger Demon. It's both an engineering masterpiece and, frankly, kind of dumb. 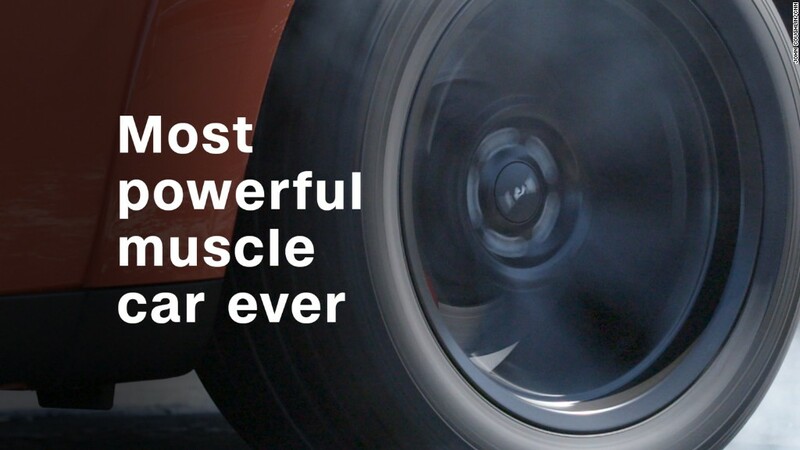 It's an 840 horsepower Dodge Challenger muscle car that has been engineered specifically to do two things: Run the quarter mile in under 10 seconds and lift its front wheels off the ground during a hard launch. So, at the big automaker party where all the other car companies are talking about solving the world's transportation issues with electric cars and automated driving, Fiat Chrysler Automobiles (FCAU), Dodge's parent company, is challenging everyone to a chugging contest. And that obnoxiousness will, of course, be the talk of the evening. That's the whole point. Sometimes the best way to cut through all the chatter is with a lot of noise and a big cloud of smoke. Before each drag strip run, the rear tires must be properly prepared. So when Dodge asked me to come down to a drag strip to try it myself, of course I said "I'm in." Next to me in the Demon was Jim Wilder, one of the engineers who created the car. 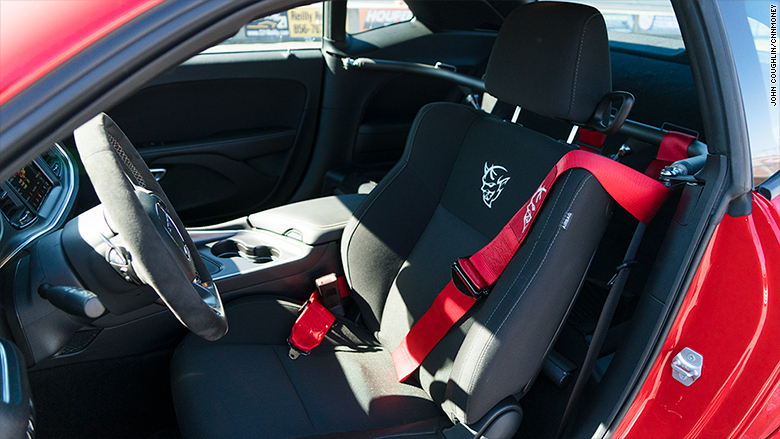 (Passenger seats in the Demon are optional. Jim's seat cost $1.00.) He talked me through the steps required to launch a car down the drag strip. It's not easy as just mashing down the gas pedal. First, smoke the back tires. It's a must-do before a drag strip run. Spinning the rear tires against the pavement like rubber sanding belts heats them up, which helps them to stick more, and also removes pebbles and grit from the tires' surface. Fortunately, the Demon has a setting just for this. I selected "Line Lock" on the car's computer display screen, held down the "OK" button on steering then pressed the gas pedal. The front brakes stayed firmly locked while the back tires noisily spun out a cloud of rubber-scented smoke. 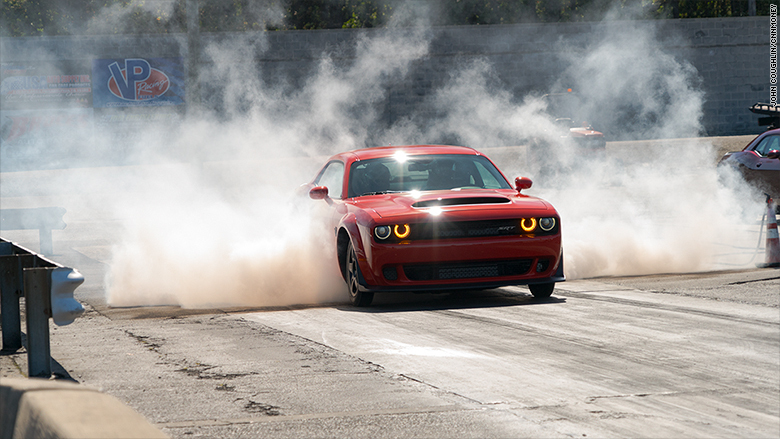 In the Dodge Challenger Demon, only the driver's seat is standard equipment. That was the easy part. The next part actually required skill. I could have just used the "Launch Control" setting the Demon has, just like most performance cars these days. With that, the car could, on my command, perform a perfectly executed take off, meting out power to the back tires for maximum speed with minimum tire spin. There are other launch methods, too, but Wilder suggested that, as a raw beginner, I use the simple two-foot technique. I kept one foot on the brake and used the other to press the gas pedal, getting the engine to around 1,200 RPM. Then when the time was right, I released the brake and pounced on the gas. At first, the back tires spun uselessly against the track. I let up on the gas and the tires finally caught against the track's surface. The Demon's nose lifted up and the road ahead came rushing in towards us while my helmeted head squeezed against the headrest. There was a monstrous "Whooosh!" as the Demon's supercharger sucked in air like a giant filling its lungs. 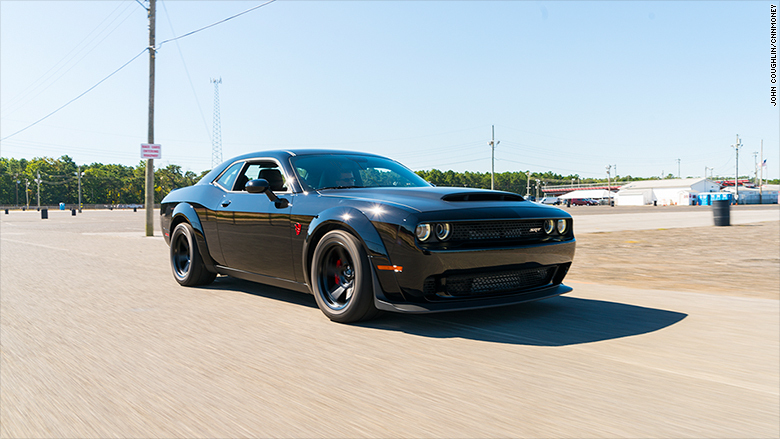 The Dodge Challenger Demon boasts the largest functional hood scoop ever on a production car. It was an impressive performance especially as I got better at it. Even more so when Wilder himself did it. The closest thing I'd ever experienced was a Tesla Model S in Ludicrous mode but, still, that's like comparing badminton to a bar fight. There is far more violence in the Demon. Out on the street, the Demon is surprisingly comfortable. This one I drove had all its seats and a pile of comfort options. The drag-tuned front suspension is old-sofa soft. Driving it at slow speeds reminded me of the Oldsmobile I used in driver's ed in the 1980s. Until, of course, I pressed on the gas pedal. Fiat Chrysler will only make 3,300 Demons with prices starting at $85,000. 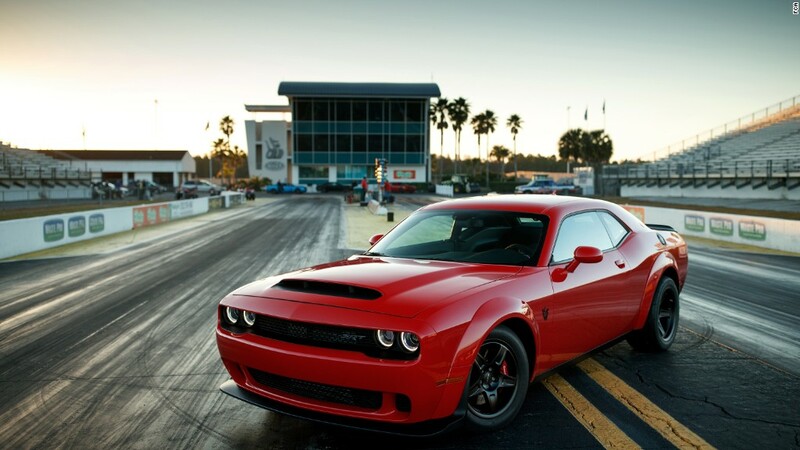 But Dodge executives say the Challenger, of all sorts, is having its best retail sales year in history and they credit the Demon for attracting that audience. Those are the performance numbers that really matter.